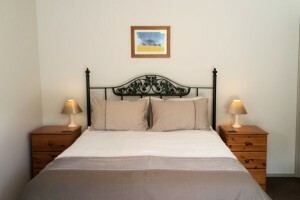 The latest listing on our network of accommodation for women in New Zealand is Duck Creek Cottage. I am planning a 2-3 day stay there soon so I can explore the Pouto Peninsula, Bayleys Beach (and the Funky Fish Cafe of course) and Kai Iwi Lakes. Here is a little about them…. 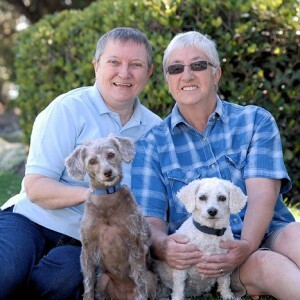 Carol & Phyl Cooper-Taylor will be celebrating 20 years together in April. They came to New Zealand from the UK in 2002 looking for an overseas adventure. They liked it so much they stayed and took citizenship. Carol has spent most of her working life in academia, while Phyl has had a diverse career with her last job in management in the contract cleaning industry. 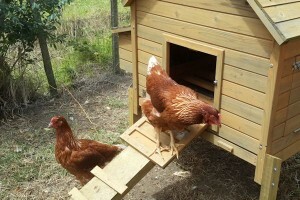 They have lived in various locations around NZ on both the North and South Islands, and settled in Dargaville in 2011. They like the mix of small town New Zealand, Northland’s sub-tropical climate and the friendly locals. They opened Duck Creek Cottage B&B in 2013. The accommodation comprises a private, self-contained Studio apartment in their garden just outside Dargaville. As women themselves, they offer a special welcome to women travellers, and for those who can’t leave their pets behind – your well behaved dog is also welcome. Luxuriate in the quality linen on your queen bed. Walk into your en-suite wet shower. You have a fridge and microwave and tea and coffee making facilities, and continental breakfast is included with your stay. You can even try really fresh, free range eggs provided by their chickens. They offer Fair Trade Tea, Coffee and Chocolate and of course a plunger for your coffee. Also Freeview TV and Free WIFI. Cook on the BBQ and eat alfresco in Northland’s beautiful sunshine, on their shared patio or on your own more private seating area. Alternatively they can suggest the best of Dargaville’s diverse dining offerings. They are close to Beaches, Golf, Kaiiwi Lakes & the Waipoua Forest, and are ideally placed for your exploration of Northland, Kaipara or the Kauri Coast. Why not stay for a few days and explore? Why Duck Creek Cottage? If you are wondering about the name, the district is called Duck Creek and there are even “Watch for ducks” signs on the road either side of the property.